In today’s Nanny Spotlight column, I’m super excited to bring you Lauren Brown, owner and founder of Lollaby Cares. After previously working in the childcare industry I decided to become a full time nanny in January 2014. I have always wanted to run my own business and I’m passionate about working with children and supporting families in the home. I have always been interested in branding and marketing so I decided to build my service behind my brand, Lollaby. 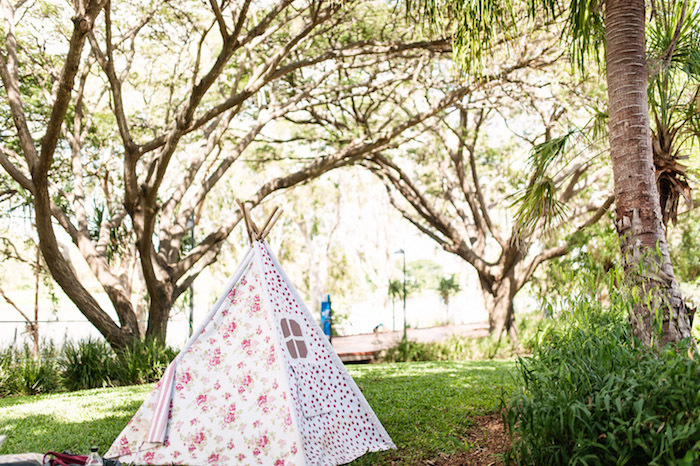 The business expanded quickly and soon Lollaby was hiring nannies who helped service the Townsville community. After much deliberation and tears I decided to move the business to Melbourne as there was more opportunity. So you’re a qualified nanny in the sense that you have your child care diploma? I worked for a wonderful centre in Townsville called Miniversity for over 18 months. In this time I completed my Certificate III (studied with Kath Dickson Family Centre) and my Diploma (studied with Diversity Education) which I completed in September 2014. Studying Childcare equipped me with the right knowledge and skills to take my interaction with children to another level. It taught me how to foster their development through play based learning with experiences based on their interests. I now apply this directly to my nanny profession. I make sure my time spent with the children is filled with enriched experiences that help them explore the world and learn from their surroundings. How do you implement these teachings into your nanny profession? I plan a program for my nanny clients similar to one you see in the childcare industry. I use videos and photos to document the children and observe their learning outcomes in the home. I use the Early Year Learning Framework to explore these milestones and share our experiences with Mum and Dad via USB or email. This way all those cute moments are captured forever and provides reassurance for working parents. What made you transition from more structured childcare to offering childcare services in the home as a nanny? The Childcare industry is very heavily regulated and I found most of my time was spent updating paperwork and cleaning rather than one on one time with the children. Although the regulations and standards are necessary, I wanted to work more closely with children. I started babysitting on the side for families and found I was bored once the kids were asleep so I started cleaning the house and doing the laundry. After seeing the impact this had on families I saw an opportunity to market this service on a larger scale and when I found a full-time nanny opportunity, I took the leap. I have always wanted to run my own business and by becoming a nanny I was able to combine my passions into a service that was sought-after and built a brand on it. I love being my own boss and being able to creatively explore my passions. How would you describe your approach towards the role of caring for and nurturing children? When it comes to working with children, I believe that a child’s early years develop a large part of who they are, what’s important to them, and how they view the world. Children need to be supported, involved, and safe in the world around them and this is built by fostering strong relationships with each one of them. I believe the key to building this relationship is through active communication and exploring the world beside them, rather than above them. Children supported, respected, and loved will grow to replicate these values to make a positive influence to the community around them. I love to customise an experience based on individual interests and this encourages confidence in their abilities and personality. I believe children play a main role in their play and development journeys and encourage this through independence in our time together. I also believe it’s our role as adults to teach the younger generation about the impact we have on the environment. I work alongside the children to help the practise sustainability and make them aware of the role we all play in looking after the planet. Part of your service offering is to see that the home is well provided for so that the parents can fully attend to their careers is that correct? How do you balance the care for the children as well as the ongoing house maintenance and housekeeper requirements? I get an expectation for what support the family needs and prioritise the house work at the beginning of the day so I can map out the most productivity around our planned activities. I also believe if I’m on the clock I should be working, so I rarely stop. This way my time flies and I know that when my clients return home they have nothing else to do but put their feet up. Most of my housework is done during nap-time but it also spills over to my time with the children. This is on purpose as I believe children playing by themselves plays a vital role in how they develop. If you stand side by side doing everything for a child, they’ll never learn to do things for themselves and this is the same with entertaining them. Children need to learn to entertain themselves and it’s important for them to know that being alone is okay. I use my Diploma and experience to facilitate experiences that allow for solitude play so the child is free to explore their creativity, abilities, and imagination. In saying this though the children are always in my vision and I only attend to the house if the child is content. Does your experience working for Vodafone (in a past life) help you to market your business + services? I am so grateful for the skills and experience I was exposed to when working at Vodafone. I managed some stores throughout Queensland (mainly Townsville) over six years and in this time I was trained in leadership, sales, marketing, people management, conflict resolution, customer retention and just general business operations. Every single one of these skills play a huge role in the way I manage my brand and my business. Long-term goals for the growth and development of Lollaby? I have some very ambitious goals! I’m very passionate about helping women return to the workforce post baby. The role of a nanny is much more than just babysitting and the influence a good nanny can have on the home is invaluable. I want to create a real WOW experience for Lollaby customers where they really feel like they are in two places at once. I want to connect with other nannies and empower each other to lift the standards in the industry to reach our full potential by networking and collaborating together. I want to build a workshop to help teach women how to market a nanny service and run a successful business from their laptop. I also want to bring more professional development opportunities to the nanny industry. The biggest success you’ve experienced so far? This job has so many rewards, it’s so hard to choose one. I love how much my role grows over time with the family to be so much more than a nanny. I’m a friend to my clients, trustworthy role model for the children, lego engineer, kitchen extraordinaire, personal assistant, family coach, artist, taxi, counsellor – the list goes on. However the biggest reward is being welcomed into homes and treated like family by so many wonderful people. Some of the friendships I’ve made will be lifelong and I always stay in touch with clients (especially on Facebook). I see some of my nanny kids to be my closest friends! It’s amazing to be with the family through all the different milestones and watch all the children grow up. Do you have a mentor that helps to guide your business pursuits? My first client, Kellie Walters had a huge impact on me jumping into all this head first. Kellie is an exceptional business woman and she spent a lot of time helping me let go of all insecurities and overwhelming hurdles. While I was her nanny Kellie gave my ideas and business model a lot of attention and it was great to have such an experienced and worldly view on how to run a successful business. I’m also truly blessed to be surrounded by some pretty exceptional friends as mentors. Your take on the nanny industry and community? I am a part of a wonderful community down here in Melbourne and through Facebook I have connected with some truly inspiring professional nannies. I believe that with the current spotlight on the profession, the industry is about to be given the chance it deserves in being a viable solution for working families. The community as a whole is very supportive but still challenges me to better myself. I want to see better employment standards for nannies. Whether they are contracted or employed they shouldn’t have to fight so hard for a decent wage. I would also like to see both nannies and families educated on how to create strong working relationships in the home. Both parties need to accept the role they play in the arrangement to ensure that the nanny works hard and in turn is appreciated and respected. I want a nanny career to be a viable option for those who love to work with children. It is an ideal scenario for so many girls who are currently in the childcare sector. I hope to see qualifications introduced along with standards, policies and procedures so that we can be taken more seriously. Exploring a new environment – that is in theme with a big interest. Whether it be a big trip to the zoo with an animal lover, a schedule bin visit for the garbage truck fan, or just walking through the park for the bird watcher. My favourite project to complete with children, it’s setting up a veggie garden so Bunnings is my go to. As for arts and crafts you can’t go wrong with a low budget so Kmart and The Reject Shop have my vote! It’s not much to look out from the outside but while waiting for a coffee one day I noticed a sign on the back door saying “The Big Backyard.” I went outside to find a wonderful environment for children to get lost in their imaginations. A home corner set up in an old caravan, veggie gardens, guinea pigs to feed with all the green grass and plenty of tables and chairs for Mum and Dad, and the Nanny. This is Townsville’s waterfront that spans over 5 km. It’s filled with lookouts, playgrounds, cafes and of course – the beach! Just take down the kids bikes and scooters and have a fun exploring. The successful author of a well loved children’s book, running my own professional workshops tailored to entrepreneur nannies and hopefully a Mum myself. Tips for a new-to-the-industry nanny? Work out your philosophy and seek out a family that is compatible to you. Once you find the perfect fit give them the WOW factor – jobs can be temporary so you want strong testimonials. Try to find like minded nannies to connect with as the job can be lonely. Plan your time to manage your workload efficiently. You don’t want to burn yourself out or create unrealistic expectations for a family in what you’re capable of. Finally, make sure you are in it for the kids. The rewards are in the little moments and if your heart is where it should be, it’s the most rewarding job in the world. If you’d like to participate in the Nanny Spotlight Series, please contact me. Now taking submissions. If you’re a superstar nanny, childcare worker, primary school teacher, expert nanny agency, or offering informative services to benefit this industry, I want to hear from you!